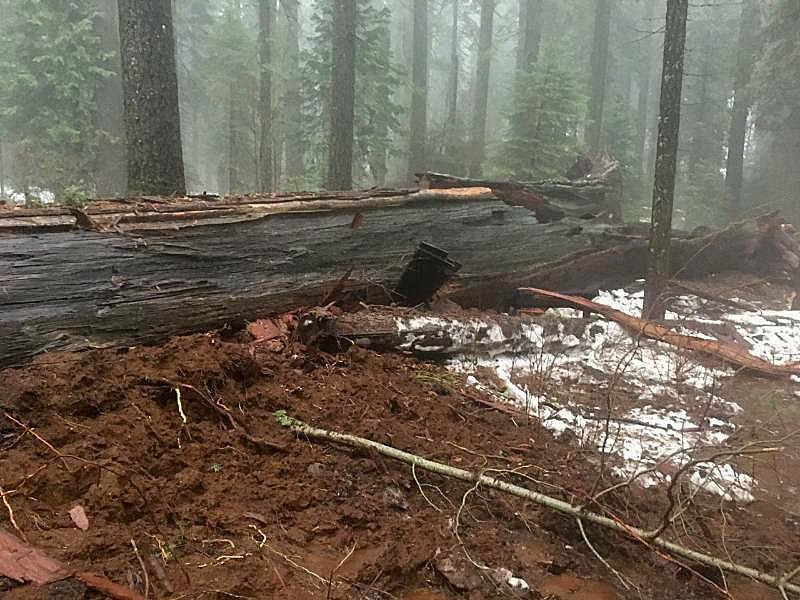 Snow and rain storms are currently hitting drought-sicken northern California. Upon other dramatic events, the iconic Pioneer Cabin Tree was toppled, floods created insane water levels in rivers, huge avalanches destroyed homes, giant sinkholes and record snow closed a few major roads. 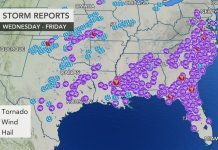 A real weather chaos! 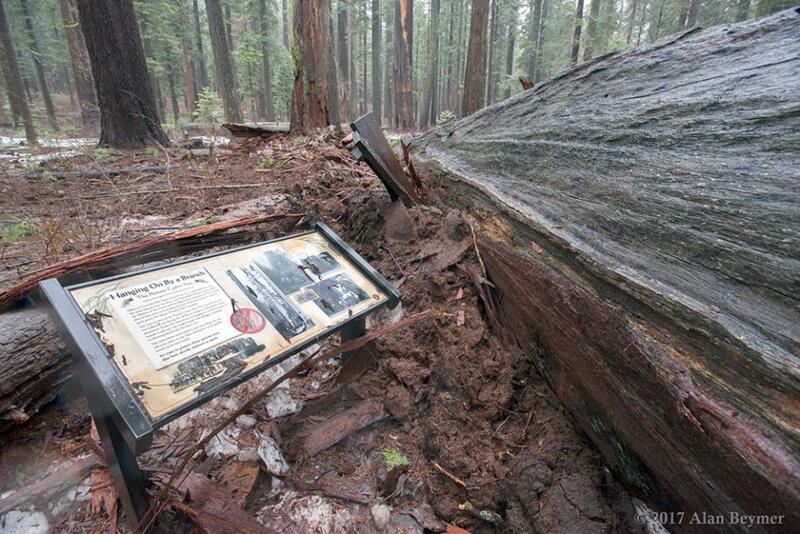 The historic Pioneer Cabin Tree, a more than 1,000 years old “drive-through” giant sequoia in Calaveras Big Trees State Park in Calaveras County, was felled in California’s weekend storms. The tree was hollowed out in the 1880s to allow tourists to pass through it, and even allowed cars, but more recently has hosted only hikers. It was part of the “Big Trees Trail” at the state park. Jim Allday of Arnold is a volunteer at the park who was working there Sunday. He said the tree went down about 2 p.m. and “shattered” on impact. He said people had been walking through the tree as recently as Sunday. 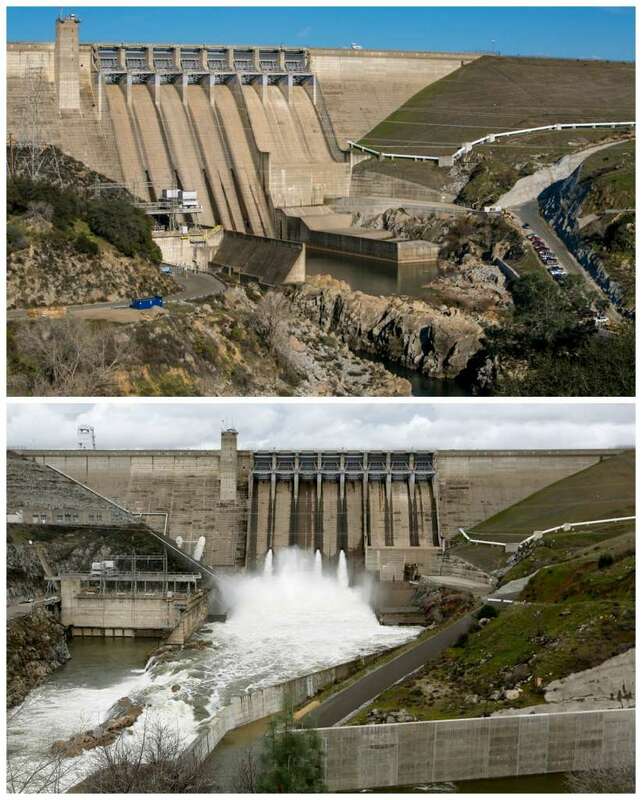 The California storms also completely changed the landscape and water level in this drought-sicken State. 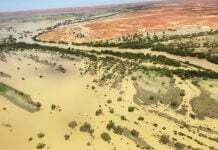 These photographs show the dramatic impact the heavy rains have had on water levels at lakes, reservoirs, dams and rivers across the top half of the state. 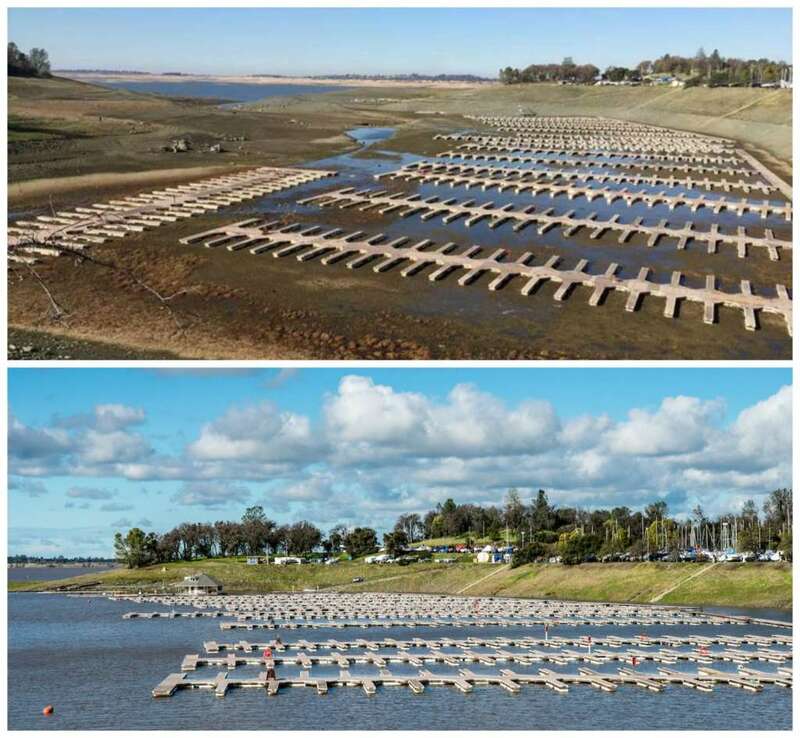 Folsom Lake: Before (Dec. 31, 2015) and after the January 2017 storms (Jan.11, 2017). Pictures: Top: Greg Tuppan. Bottom: Florence Low/California DWR. 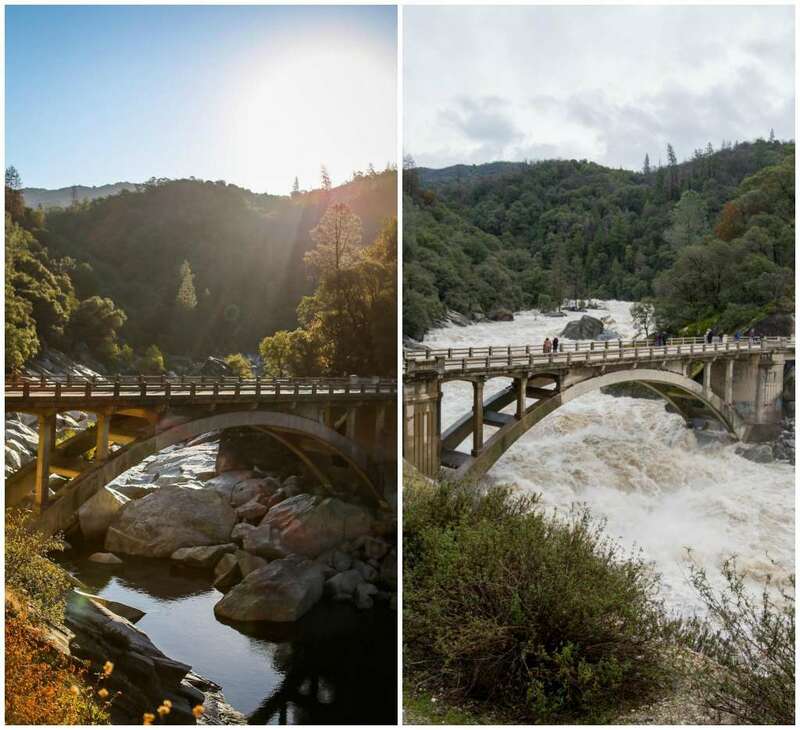 As three raging storms pummeled Northern California in early January, the lakes rose, the floodgates opened, the rivers swelled, and the waterfalls roared. The landscape that became dry and parched during five years of drought turned into a wet, soggy mess. 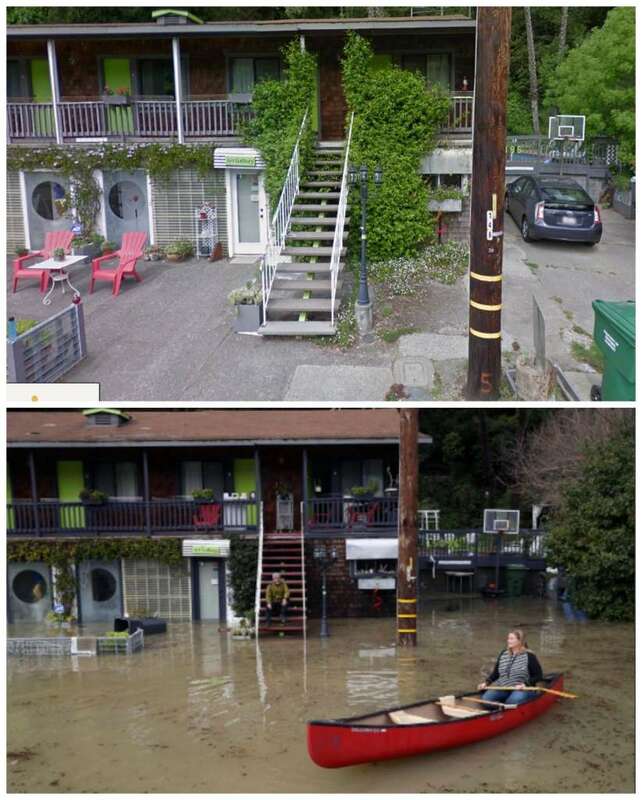 Trickles of water became surging flows, and floodplains transformed into massive seas of water. 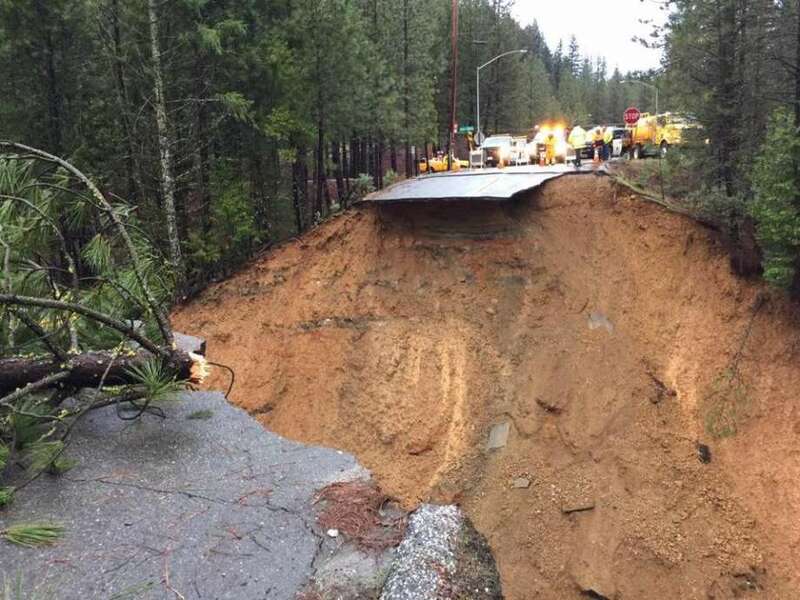 Meanwhile, a portion of road near an exit of Interstate 80 in Placer County has been destroyed by recent storms, leaving behind a gaping sinkhole. 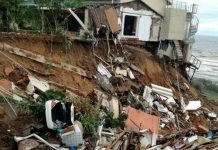 This giant sinkhole cut off Interstate 80 during California storms in january 2017. A chunk of Morton Road near the Alta exit of I-80 is gone, swept away by rains. 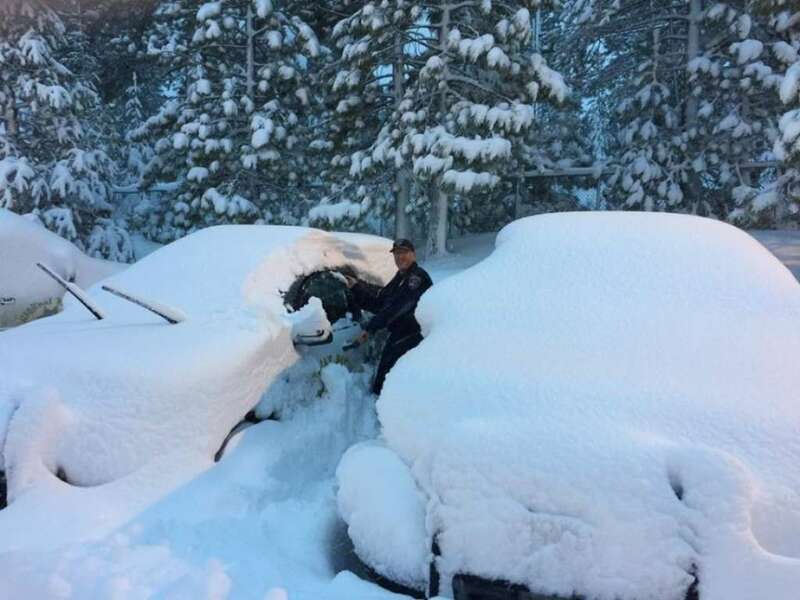 Because of record snowfall, the stretch of the interstate 80 between the Nevada border and Colfax had reopened on Wednesday afternoon after closing for two days amid a powerful storm that dumped several feet of snow on mountain passes. Drivers were required to use chains and stay under 30 mph. Highway 50, which was closed overnight due to avalanche danger, was reopened on Echo Summit on Wednesday morning. 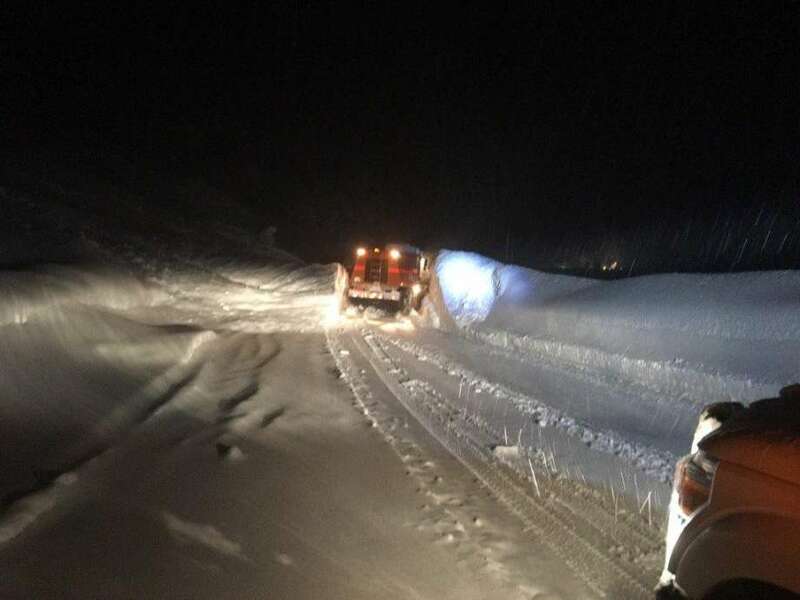 Two late night avalanches closed Highway 89 between Squaw Valley and Tahoe City, but the road was later reopened. 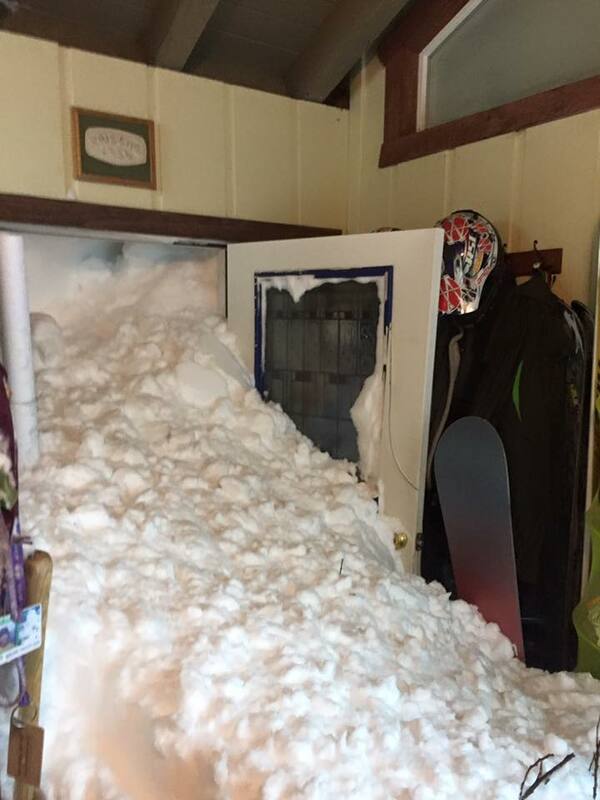 Finally a controlled avalanche hit a few houses in the area of Alpine Meadows. Nobody was injured, but some doors wer openened up. After the drought, the water apocalypse!